“Greek democracy today chose to stop going gently into the night. 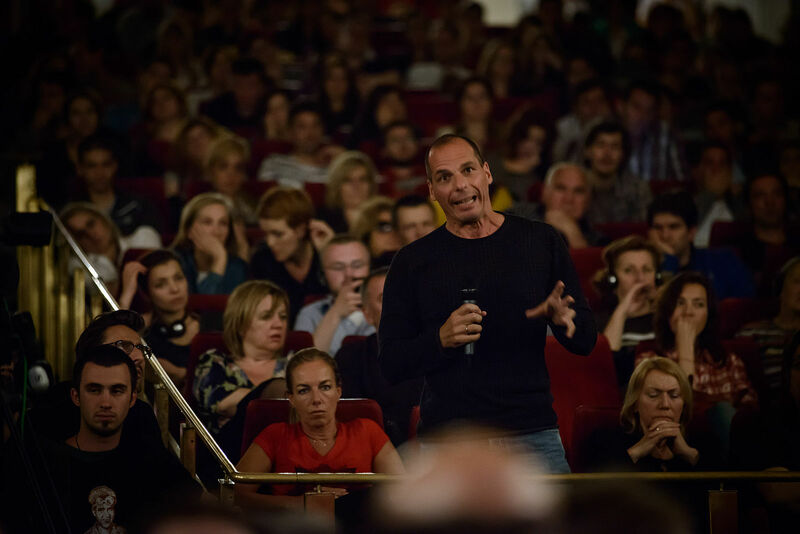 Greek democracy resolved to rage against the dying of the light.” Yanis Varoufakis is quoted as blogging in the guardian. "Today, the people of Greece gave a vote of confidence to hope. They used the ballot box, in this splendid celebration of democracy, to put an end to a self-reinforcing crisis that produces indignity in Greece and feeds Europe’s darkest forces. Greek democracy today chose to stop going gently into the night. Greek democracy resolved to rage against the dying of the light. Fresh from receiving our democratic mandate, we call upon the people of Europe and, indeed, the world over, to join us in a realm of shared, sustainable prosperity." So allow me to contradict the majority opinion by arguing that greed and loose ethics caused neither the Crash of 2008 nor the current eurozone crisis. The financial sector did grow fat on insidious voracity, on criminal practices and on financial products that a decent society ought to have banned. All this is self-evidently true. But none of it caused the Crisis in the US or in Europe. But if it was not Greed and Profligacy, loose Morals and even looser Regulation, that caused the Crisis, then what was it? A Surplus Recycling Mechanism for recycling American surpluses abroad. For re-exporting (in the form of capital transfers) some of the American trade surplus back to Europe and Asia in order to maintain both the health of America’s key allies and, importantly, their demand for American exports.